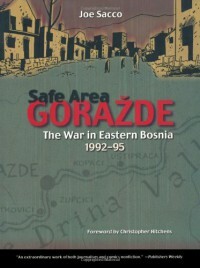 Safe Area Goražde gets four stars because it covers a war that doesn't get enough attention. It earns its four stars for giving voice to many who would not have otherwise been heard. It gets four stars for not shying away from the horror of the war. And it gets four stars for trying to educate a people. As an annal of the Bosnian War as told through graphic novel, Safe Area Goražde succeeds. It could be better. It tells about only a fragment of the conflict, but this is to be expected, I guess, in a work of journalism by a solo observer. But, Sacco does not remain an impartial observer as one would expect from this style of journalism. My complaints about Sacco do not end there. Sacco's gross misrepresentation of self was horribly distracting. It's not that Sacco is a fabulous artist, particularly in regards to the human face, but no character is portrayed as cartoonish and malformed as Sacco's own. Having finished the book, I did a search for the author's photo, half expecting to find a monstrous facsimile of the Sacco character. 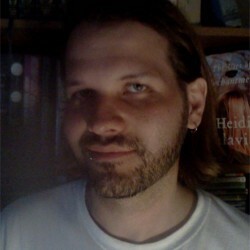 Nope, Sacco's a pretty normal looking guy. Perhaps this is a reflection of his character, which is also unappealing. Sacco comes off as sort of an invasive creeper, in my opinion. I could not trust the guys intentions. And if this is how the author himself presents his character, I have to wonder how much worse it might have truly been. Safe Area Goražde is a good graphic novel almost entirely because of its subject. The authorial intrusion was unnecessary though. Was Sacco's character needed at all? Sure, it helps place the journalist in the conflict, but I would've been more invested in the story at the heart of the book with his inclusion kept to an absolute minimum. It's the promise of his presence in his other works of journalism that will likely keep me away.